We are the product manager and user experience designer for Moto 360! AMA! Hi, guys! We are doing a joint AMA today! I’m Eric, and I’m the product manager for Moto 360. I helped curate the new metal watch collection as well as the upcoming leather and metal bands (I can’t wait for the cognac bands either). Rick Hoobler (rhoob) is here, too. He works for Motorola as a user experience designer. His team designed many of the Motorola-specific user experiences on Moto 360. They worked on features like the watch faces and the new Moto Body fitness experience. He also was a judge for the Moto 360 Design Face-Off earlier this year and helped choose the top 10. We are here to talk all things Moto 360, including the four new watches and Moto Body experience we announced yesterday! We'll be here from 12:30 pm CT to 1 pm CT. Ask away! We’ll do our best to answer with what we know. Hi, thank you for dropping by! I am a proud Moto 360 owner, and I love absolutely love it! My question: Could you comment on the seemingly higher-than-normal amount of watches out there coming up with cracked backs due to pressure from the stock band, as well as stuck pixels on the display? Is Motorola aware of the design flaw and addressing it? Is there a known manufacturing issue that sent out a limited amount of defective displays that Motorola is aware of and addressing? Are you personally aware of these problems at all? I completely understand that with 1st generation products, things happen. Defects can occur, engineering oversights happen. But the seemingly frequent occurrences with these devices are rather troubling to those of us who jumped onboard as initial adopters of Motorola wearables, and many of us are worried about longevity. With a quick search online, you can easily find many, many people with either cracked backs or stuck pixels on their watch, and several replacements with stuck pixels, often with even more than the last. /r/moto360 alone has a novella of pixel issues and cracked backs, let alone the others on XDA, any of the popular Android blogs, Motorola forums, etc. For a product that was so heavily touted as a premium product, there sure are a lot of QC issues going on. And as product manager, I would assume you'd like to be on top of this. I myself had to go through 4 replacements before receiving one defect-free, meaning it was not until receiving watch #5 that I had a satisfactory product. The several-week-long experience is chronicled in the Moto forums: https://forums.motorola.com/posts/a48f040254?page=1 I hardly believe that I'm that lucky to get rare defects so consistently. Hi guys - this is the question I've been most eager to answer. I've been lurking on /r/moto360 for some time so I know the frustration you have with the cracked backs and “dead pixels.” Here is the deal on the cracked backs, will answer on the pixels in a moment. We’ve investigated this extensively and found that it was occurring on a fraction of a percent of devices. Still, we want to make it right. We designed Moto 360 to take all sorts of damage, from banging to dropping to water and dust damage. We have seen that the users that have experienced a cracking issue have generally had this issue around the band attach points. So, if you have this issue (cracks around the band attach point) please return it! It's covered under warranty. We don't think people should have to wear Moto 360 one way or another to prevent this from happening - just wear it like you normally would and we'll cover you for the rest. We love your enthusiasm and your design ideas on how to change the back. The squared back design is cool but won't work :) Please keep the feedback and ideas coming, we’re listening! On “dead pixels”... you’ll notice that I put this in quotes. What looks like a dead pixel is actually either foreign material introduced during the display lamination process or an anomaly in the refractive layers within the display. These can cause tiny dark spots or bright spots that look similar to “dead pixels” you might see on a Samsung product. This issue also affects just a fraction of a percent of users, but if that includes you let us know! It is covered under warranty and we will gladly replace it for you. If you have a cracked back, you can contact our support team to get a warranty exchange going. In the US, please visit here: http://bit.ly/MotCustCare If your watch was purchased outside of the US, please contact the local support team for your country or region: http://bit.ly/ContactUs-Locate. If you encounter any issues, please reach out to Wendy W here on Reddit: /u/Moto_Wendy_W. Why such a dated SoC? The TI OMAP3630 is like four years old. Great question - I’ll start by saying this had NOTHING to do with a dusty warehouse of old processors that we were compelled to buy because of our finance department. This was an engineering-driven decision, plain and simple. Our analysis on performance and battery life impact based on the early Android Wear requirements led to our decision. 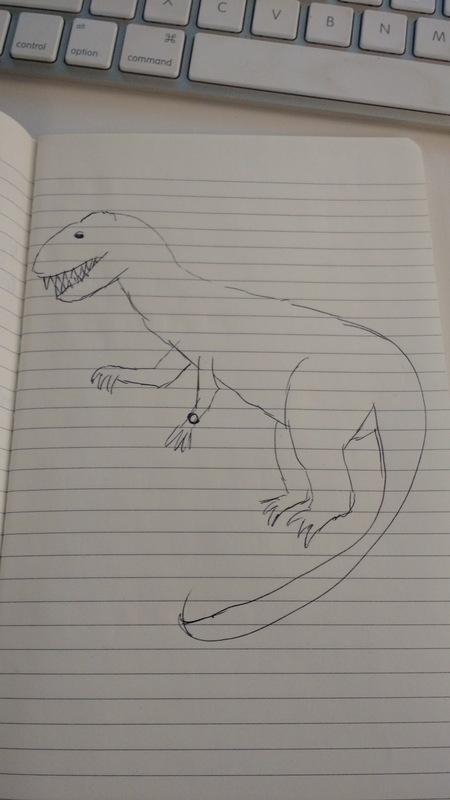 Will you draw me a dinosaur? What made you decide against an amoled display? When will the other variations reach the UK? Do you have plans on fixing (not just swapping) the cracking issue? How many charges will it take for the battery to start degrading? How long do you plan to update android wear for the 360? Edit: Official snack of choice in your department? Thanks for doing this, on the train hence my direct typing. Hey, I’ll answer a few of these. Re AMOLED, as you can imagine sourcing the first round display for a smartwatch wasn’t an easy exercise nor were there many vendors prepared to deliver. We went with our very best option. With the success of Moto 360, it’s pretty clear that we’ll have more options going forward, even though we might still decide that something similar to what we have is still right for us. Re: UK variations, you’ll see more options in Q1 of next year. The 360 currently checks for your heart rate every 5 minutes. This info isn't viewable directly. Any plans to integrate this in to Google Fit, or at least let it be viewable in a Moto application? Will Moto Body sync with Google Fit ? If yes, what data can we expect it to sync? All of it? Can you please give us some insight as to when the steel bands will be available for us to purchase? I see the steel watches are out, but I already own a 360 with a leather band. Also, can you explain the process for making the battery life as good as you have with the updates since the release? I am always curious about this considering nothing but software is changing. Also, when do you think the Connect update will be out so we can take advantage of the new faces? Interchangeable accessory bands (including the new metal bands) for your Moto 360 will be available in time for the holidays. The Connect update that will enable Moto Body will be available in a few days. For battery life improvements we had look at many different areas. Some of the key area was improving overall system performance and false gesture activations. The Heart Beat Sensor and Pedometer leave a lot to be desired. The pedometer often tracks no steps for hours and if it does, its consistently shown 20% less than my fitbit tracker. Are there active efforts to improve their function or are the issues related to hardware and therefore these issues cannot be resolved? Can you tell us 1) the approximate number of 'back cracks' that have been reported to Motorola, and 2) the approximate number of units sold? This will allow a percentage to be calculated. Some people on the /r/Moto360 sub claim over 20% of Moto 360s sold have back cracks, whereas others think the percentage may be in the single digits. What are the differences between the built-in Fit and Moto Heart Rate apps? Why include two? Which should I use? Yes we realize this is confusing. Fit is Google's app that aggregates fitness information from various sources (watch, phone, 3rd party devices). Moto Heart Rate (now known as Moto Body) is our app designed specifically for the round face. Having our own app allows us to innovate at a faster pace and provide the best exp for our users. Version 2 coming next year? Hello. Can you tell me what went into the decision to use processor that is in the Moto 360, and whether you believe that may limit it's life cycle for updates. Also, how closely do you work with the Android Wear team from Google regarding updates? see my answer above on the processor decision. it won't prevent future updates, and we work extremely closely with the Android Wear team! Hey guys! I am continually impressed by my Moto360 and have really come to love it over the past couple months. Can you give a more definite time frame for the cognac bands? I wanted brown to begin with when I bought my watch and would really love one! What's the best apps you've seen that take advantage of the Moto360's gorgeous round display? Will a option come out to turn off the display while charging for those of us who are worried about screen issues? Any cool Moto360 tips or tricks or hacks you've seen or you do with the device? I've noticed that the battery charge on my Moto 360 drops precipitously whenever I drive. Do you guys have any plans to further refine the watch's ability to accurately differentiate between a user trying to look at the screen and other movements? Hi Eric and Rick, thanks for doing this AMA! I think I speak for all Moto 360 owners when I say we really appreciate the attention to detail that went into its creation. We're excited to see where the first round smartwatch takes Motorola and Android Wear! My question is: Are there any plans to increase the availability of various watch sizes? Also, just as an observation, it seems like there could be a lot more marketing for the Moto 360. It's become even more functional since the update that addressed battery life, but I haven't seen very many ads touting its features or usefulness. What is your opinion on Google's more closed approach with Wear, Auto and TV? Motorola obviously is a company that values stock Android experiences very highly, and I think that's amazing. A Moto wearable would probably look similarly Google-ly if it weren't for the limits of customization available to OEMs. However, do you have any thoughts on how everything is going to play out now? Are manufacturers going to be okay with offering a uniform system in the long term? Google knows that OEMs need ways to differentiate their products, they just want to make sure those customizations are not detracting from the user experience. We agree, and that's why we embrace pure android with our phones. I know the update is not done by Motorola directly but do you have any prediction to when can we expect v2 of Android wear that Google announced a while ago? Also, is the update to Motorola connect waiting for v2 or can we expect it sooner? While we can’t comment for Google on when Android Wear updates will roll out, we are happy to report that our Connect update will be coming in a few days. Hi Eric and Rick. Thanks for the AMA. I love my Moto 360, getting one for my wife for Christmas as well. Quick question for you brainiacs-- in what ways are phones changing the world? My favorite cheese is gruyere. Any details on how customizable that new user built watch face will be?